Our commercial wrapping paper will come to you rolled -- that means NO crease marks! It measures 24 inches wide by 15 feet long for 30 square feet of wrapping paper! 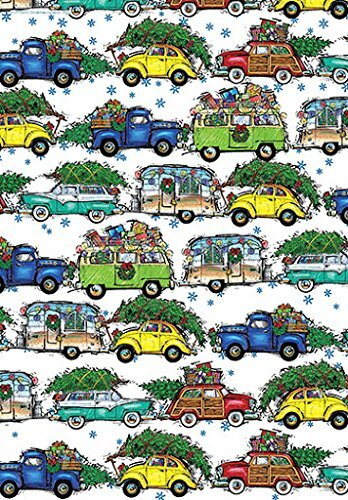 Features different cars and trailers with Christmas trees. Hand Measured, Cut & Rolled When Ordered, so NO creases! If you have any questions about this product by Party Explosions, contact us by completing and submitting the form below. If you are looking for a specif part number, please include it with your message.